It is not known whether the Classical city of Halos was founded in the Archaic or Classical period or perhaps even earlier in the Late Bronze Age or Iron Age. In Classical-Hellenistic times, the cities of Halos and New Halos were the centres of habitation in the southern part of the Almirós plain. There are also a number of small rural sites from the same period in the Almirós and Soúrpi plains. Obviously these sites, or rather artefact scatters, were small settlements or rather farmsteads. 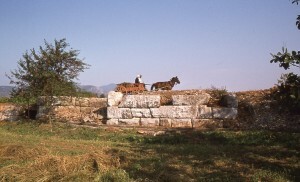 Compared to other regions in Greece the number of sites in this period is very small. After the earthquake of 265 BC the inhabitants of New Halos had to decide whether to stay or to leave. No indications of habitation after 265 BC have been found in the excavated houses. The excavation of the Southeast Gate, however, revealed that people lived in the gate complex as well as in structures which were placed against the city wall. We assume that the vast majority of the inhabitants abandoned the city and settled elsewhere. 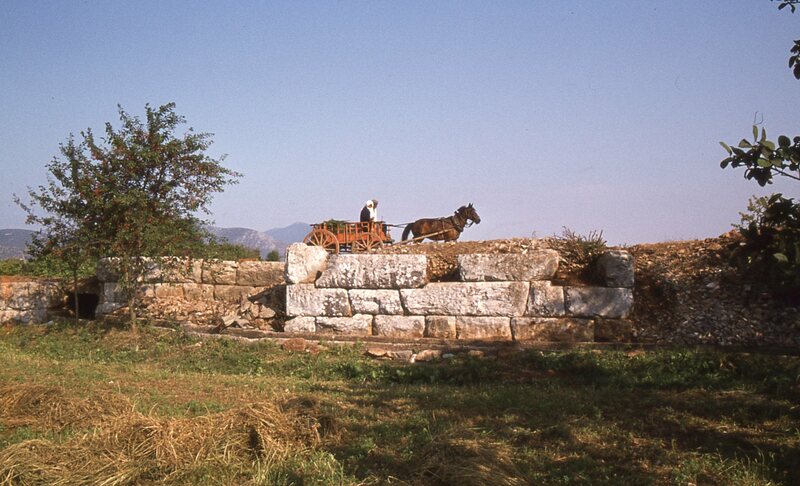 Only few sites in the city’s territory show a continuity of habitation during the Hellenistic and Roman periods. One of these was a fortified settlement on Kastráki hill, north of the Karatsádagli, which was certainly inhabited in those periods. Another possible candidate is the site at Baklalí where a small fort on a promontary was surveyed in 1992. Indications for habitation were also found outside the small fort. The artefacts point to habitation in Classical times, late 4th-century BC, as well as the Hellenistic period, 3rd century BC.